I designed these invitations a few months ago for a friend at work who was hosting a lingerie party for a friend. Sweet, Fun, and Simple, featuring hand-drawn illustration. This was a completely custom invitation. 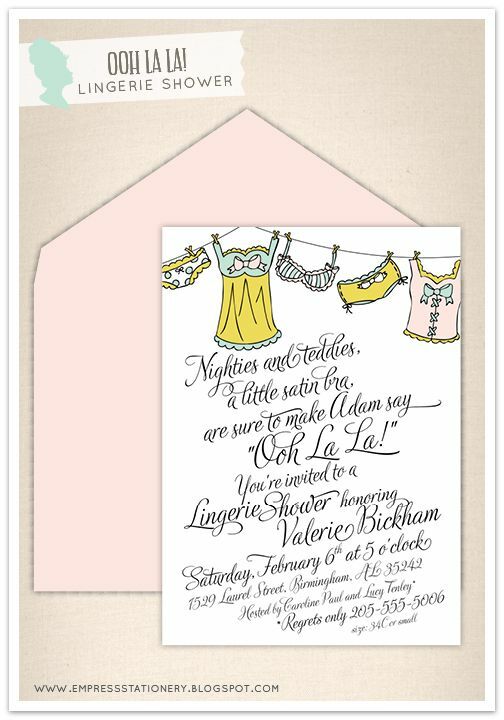 Contact us if you're interested in this one, or creating a custom invite for your next soiree!